SPECIALISING IN MICROBLADING, FRECKLES AND SCALP MICROPIGMENTATION. - Eyebrow refresher appointments are recommended every 1-2 years and are 1 session appointments. - After 2 years with no maintenance, a full session will be required. FRECKLES: 150-250 (depending on amount) and includes one free touch up. Never found without a smile on her face, Whitney Mayfosh is the epitome of joy. 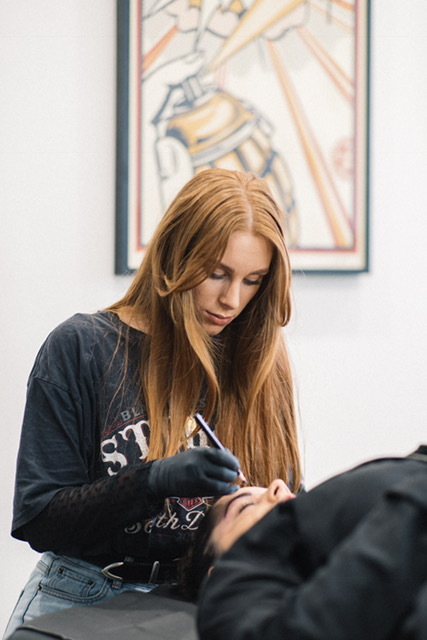 Not only does she specialise in eyebrow microblading, scalp micropigmentation and freckles, but she is A+ when it comes to making clientele in her presence feel perfectly comfortable and at ease during their appointment. Having started as one of Montana’s earliest clients herself, she takes great care in answering all questions and concerns, ensuring that everyone who leaves her presence is beaming with as much happiness as she is.